We have a variety of lasers, chemical peels and skin treatments that address aging changes of the face. We can improve photo damaged skin, fine wrinkles, skin laxity, large skin pores, pigmentation changes, generalized redness and rosacea, with our various lasers and treatment programs. Injectables and Fillers have virtually no downtime and can produce significant results. Fillers are designed to fill in wrinkles and depressions in the face. Botox weakens muscle action and therefore can be used to improve frown lines, squint lines, and other selected facial animation wrinkles. Laser Hair Removal works by targeting the pigment inside the hair follicle without damaging delicate pores and structures of the skin. All skin colors can be treated with various lasers, reducing hair growth and protecting your skin color. Multiple product lines that address a variety of skin care goals. All of our products are available in our office or can be purchased online. SkinCeuticals, NIA24, OBAGI, EltaMD, Clarisonic Pro System & Products, SkinMedica and Colorescience. 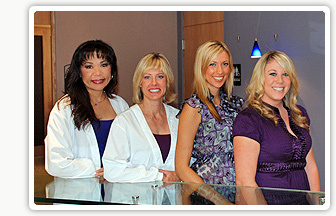 Welcome to the Laser Skin Care Center of La Mesa, under the medical direction of Dr. Ervin S. Wheeler, M.D., F.A.C.S. The Laser Skin Care Center team consists of Lee-An Atkinson, R.N., Jeanne Dean, R.N., Laser Skin Care Coordinator, Diana, and Carrie, the Laser Skin Care Receptionist. Firmly dedicated to skin care and laser treatment excellence, Lee-An and Jeanne can provide safe, natural-looking and aesthetically-pleasing skin care results. At the Laser Skin Care Center, we provide a full range of excellent procedures and a variety of skin care products. Our procedures help to rejuvenate skin, address pore size, improve skin laxity, reduce the appearance of redness in the skin, and remove unwanted hair. Patients can also achieve a more youthful appearance with the use of Botox Cosmetic and dermal fillers, with immediate results and no downtime. With our variety of products, you will find excellent cleansers, moisturizers, eye treatments, Vitamin C and hydrating serums, and multiple sunscreens to help protect your skin. The Laser Skin Care Center of La Mesa invites all of San Diego County to schedule a complimentary consultation for personalized guidance in achieving your skin care goals. In our Patient Galleries section, you will be able to see before and after photos of patients that have undergone different services that we provide. These photos will help illustrate the effects and changes that are possible through our expert services here at the Laser Skin Care Center of La Mesa.